The Club has available a range of Branded Clothing for Coaches and Club members through Birds of Dereham. 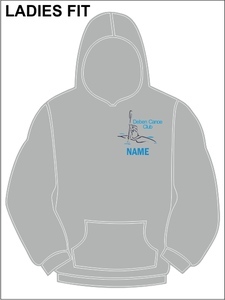 The Club Wear includes the Club Logo and optionally can be printed with a Name or Nickname. The Coach Wear includes the Club Logo and the word "COACH" and optionally the Coaches Name or Nickname. In the first instance we have made T Shirts and Hoodies available. The Hoodies are available in Male and Female Fits. 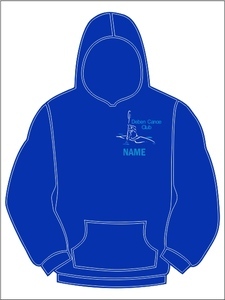 Other items are available through the Birds Website, but have not been made available through the Deben Canoe Club site. If you would like other items of Branded wear please ask and we will get the site updated to include additional items. 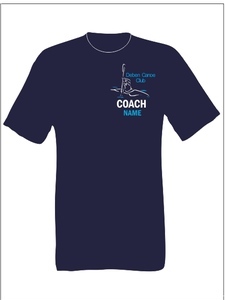 Navy Blue T Shirts have been reserved for Coaches so that they are easy to spot in the pool.